Valentine's Day Griddlers is an exciting intellectual game for those who love logic puzzles and an atmosphere of love and romance. Set off on an unforgettable romantic journey, visit extraordinarily beautiful places and pick up a bunch of souvenirs on the way! Across 6 colorful locations, you'll find 120 griddlers of varying difficulty along with fantastic graphics and pleasant music - everything a refined connoisseur of nonograms could wish for! 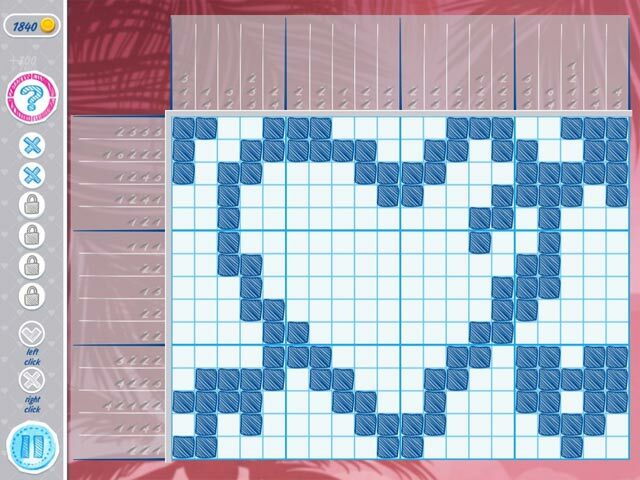 Each level hides something special - the foretelling of something wonderful, the spirit of romance or a cute picture encoded in the grid. To make the game easier to get the hang of, we've added two tutorials - one for beginners and one for experienced fans of the genre. Set off on a romantic journey with new Japanese crosswords! Valentine's Day Griddlers is an amazing adventure in the world of hanjie!